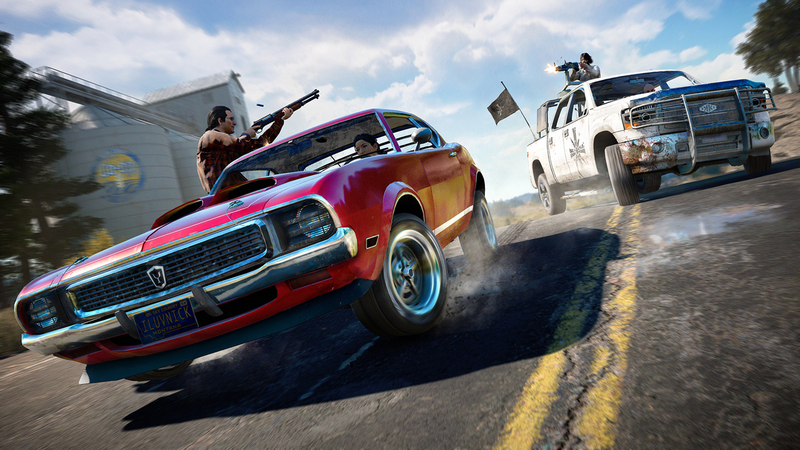 Far Cry 5, which is Ubisoft Montreal’s newest first-person shooter, is set in political-crazed Montana. Driven to madness by the idea that their liberties being taken away is the first sign of the apocalypse, Joseph Seed and his “family” take arms and form an enormous cult to ensure the safety of their liberties. You play as a rookie sent to aid in Joseph’s arrest, but when things go awry and your friends are taken, you have to get creative and fight outside of the law to get them back. Ubisoft Montreal promises a compelling story with an extremely dynamic open world where new, unscripted experiences are constantly thrown at you. Given the history of Far Cry, the question fans have is whether this is everything Ubisoft has promised, or simply another reskin. The story for this game takes the currently heated American political climate and takes it to the extreme, but it still takes itself seriously, which is a great choice. Rather than cramming humor into the game inappropriately, Ubisoft knew that they could simply be humorous through the miscellaneous characters, minigames, and random encounters, supplying a well-rounded experience. Every character has a unique personality with their own concerns about the cause, instead of always being ready to crack a perfectly-timed joke. The delivery for the main cast is done unbelievably well. Each cutscene is rendered with cinematic lighting, precise animations, wonderful voice acting, and amazing mixing by the audio team. The introduction for this game will forever be engraved in my mind as one of the most memorable. I found myself amazed by the littlest details that do wonders for setting the mood, such as tense moments in scenes where the audio focus is simply on the sound of the creaking floorboards beneath your feet, or the camera focuses on the slight movement of eyeballs, showing how tense characters are. Also, if one villain is not enough for you, the game hosts four major ones, ensuring you’ll enjoy at least one of them. There are a lot of things Far Cry 5 does right, but one thing that isn’t on that list is creating a smart AI. In a weird sort of way, it’s not as bad as it sounds, depending on what you find entertaining. The frustration derives from the fact that your companions will only revive you half of the time and typically do not listen to orders (or they approach them in extremely questionable ways). For example, I ordered my recruit to attack a man standing on top of a hill that was bordered by water on one side. Instead of simply going around to the other side and walking up the hill to get a good shot, he instead swam across the water, somehow went up a 90° hill, and had a staring contest with the enemy for about four seconds until he finally punched him in the face. The silver lining of this very stupid AI is that constantly throughout the game you will experience the most absurd, unscripted chaos imaginable. One of my favorite experiences was watching a cultist accidentally shoot another cultist that ran in front of him while trying to fight a civilian, and then get run over as he ran into the street. The surviving civilian then decided to shoot a nearby cougar, which turned out to be a drug hallucination as it turned into a turkey and then mauled him to death. These types of experiences were always happening, in a way where I was almost disappointed that I couldn’t get a moment of silence to appreciate them more. One of the most infuriating things about modern games is the failure to deliver on a promise of a large, open world. It was refreshing to see that this isn’t the case here, although that isn’t to say that it won’t get repetitive. 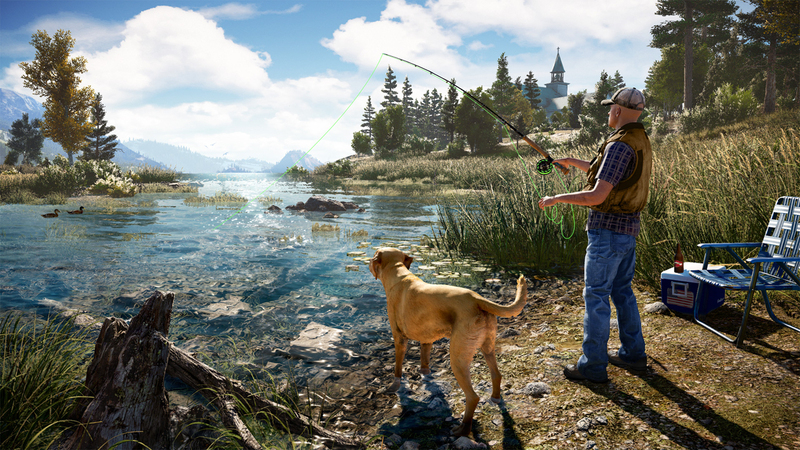 There is very little time that you’ll spend doing nothing in Far Cry 5. There is always someone to talk to, a shrine to sabotage, an outpost to liberate, treasure to find, or a mission to complete. If you ever get tired of any of those options, you’re always seconds away from the option to hunt, fish, or encounter random enemies where innocents are in need of saving. The game will also train you to be a professional drive-by shooter, which is useful for when you’re feeling too lazy to get out of your car to save a prisoner and would rather gun the cultists down quickly from your window. Ubisoft Montreal really went all out designing the map. Every region has a very different feel — but not to the point where anything feels disconnected from the main theme. Lighting is handled beautifully: Sun shafts cut through trees and leave a slight lens flare on your screen. The forests are dense with trees and other flora which are constantly blowing in the wind, while animals can frequently be seen roaming. The water is no different, handling reflection and movement extremely well, especially when fish are present. There were many moments where I would choose to walk instead of sprint, or turn on auto-drive, in order to appreciate all the sights. For this reason, I’m disappointed that hunting plays such an unimportant role in the game, unlike the other entries from the series, because a lot will be missed by people who stick to the roads the whole game. This isn’t a reinvented Far Cry experience, but it’s a step in the right direction. The changes, while not new, feel like all of the successful components of Ubisoft’s other games thrown into one. 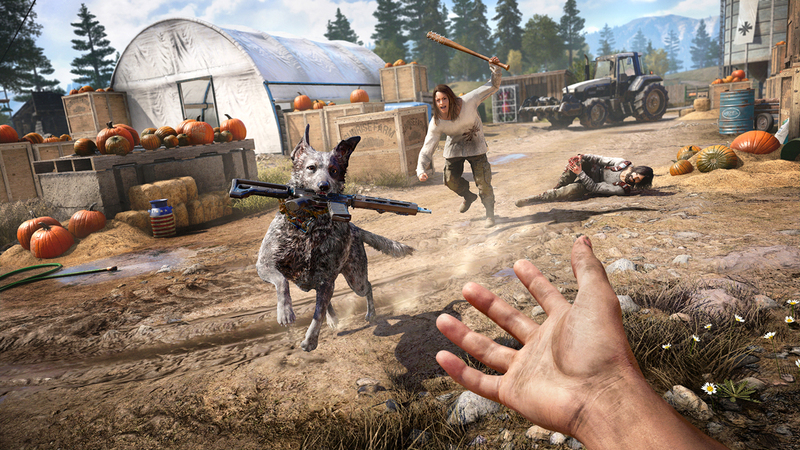 The two most notable changes are the new companion system and the evolved map editor, known as Far Cry Arcade. Any time you save a person, you’re able to recruit them onto your team, and they’ll have unique perks which unlock as they accumulate kills. Of course, if fighting alongside generic_civilian243 doesn’t get you excited, you can always choose from unlockable heroes which range from a backwoods pyro all the way to a diabetic bear named Cheeseburger (who you should immediately drop everything to get the second the game starts). The AI isn’t smart enough to necessarily make companions matter that much to me, but I will never say no to having a ferocious bear — that loves killing cultists as much as he loves being pet — fight alongside me. If you’ve played Far Cry 2 then you should be extremely excited for Far Cry Arcade, as its level of detail reaches a new height for in-game map editors. Along with being extremely complex and detailed, assets from countless Ubisoft games are included. Given that I played this game as a pre-release, there were no community levels yet available, but I’m sure that on day one we will see countless maps being released. The game’s replay value is made immortal by the options available. My only hope is that they add more enemy variety as time passes. Meanwhile, Multiplayer is also always an option, which contributes to the longevity of the game. Of course, everything comes down to how fun the combat is. It’s inconsistent, but mainly feels great. Every time an enemy is shot they react as any average Joe being shot should. Even the standard 1911 pistol is enough to have a man writhing on the floor in one shot, which I love, given that most games punish you for being a fan of mainly using secondaries. There’s a handful of every type of gun category that you’d expect, along with a few bonuses: You’ll find bows, slingshots, and even an alien weapon given by a NASA fanatic named Larry. Crafting explosives and enhancing drugs have returned, adding a fun approach that comes in handy frequently. You’re also allowed to carry nearly ten melee weapons at any point, which I have no complaints about because it’s fun to take down enemies with projectile shovels. There are so many run and gun options that stealth is left behind as a useless mechanic. Montana is covered in tall grass, trees, and large bushes, yet enemies can see straight through them and will almost always immediately spot you if you’re not being blocked by a mountain or a house. To make matters worse, even with every stealth-based perk unlocked, a melee with an enemy is enough to put an entire base on alert somehow. The number of times you’ll use the ability to move bodies for strategic purpose can be counted on your fingers, which is something I never expected from a Far Cry game. All hope of using stealth isn’t lost, though, as small camps of a handful of enemies can be taken out without being detected. For the PC edition, I was able to easily stay far above 60fps on ultra settings, at 1440p on a Nvidia GTX 1070. The density of forests and intense water rendering seems to be optimized extremely well. Far Cry 5 performed significantly better than I could’ve imagined — it was even significantly better than Far Cry 4, ironically. 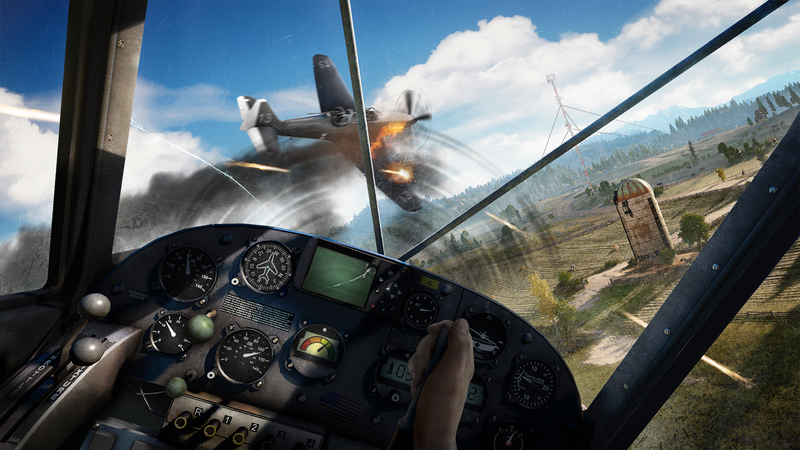 Bugs and crashing issues are a different story for performance, however. There were at least ten occasions where the game crashed for me, but hopefully a patch will be dropped within the week. Even if a patch doesn’t drop, the game saves so frequently that it will basically drop you right back where you were once it boots back up, so it’s more of an annoyance than a problem. By the way, sometimes certain event triggers don’t register, which results in the AI screaming at you to do something that you’ve already done. The only way to fix this is typically to restart.